But binding can also feel like a chore until you have learned all the basics. 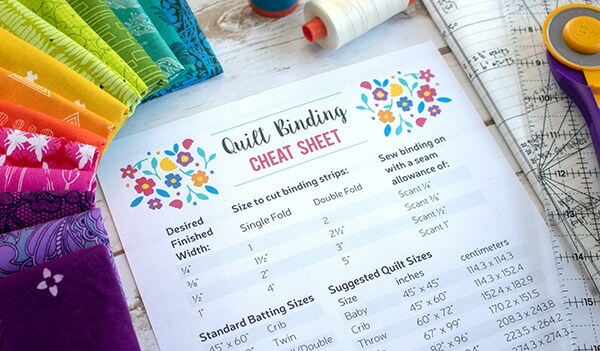 So our Quilter’s Planner team has pulled together tons of binding tips and tutorials for you in this post, with even more links at the bottom so you can dive headfirst into the rabbit hole of all the best binding techniques. and more binding techniques for you to consider and explore on your next project. Straight grain versus bias binding. 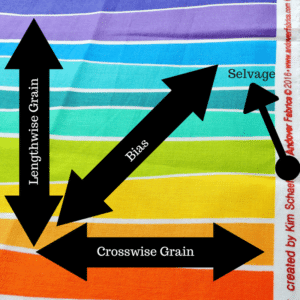 In most cases, BOTH the Lengthwise and Crosswise grains are referred to as “straight” grains. For a square quilt, straight grain binding will work well. 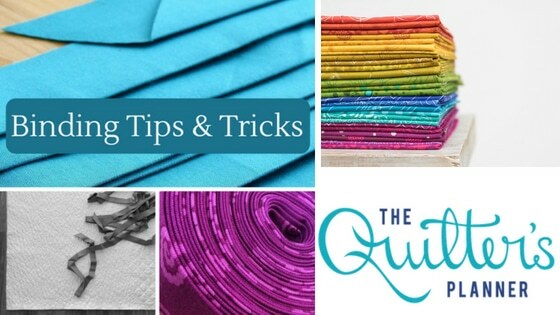 However, if you are binding a quilt with curved edges, you will want to cut bias strips for your binding. 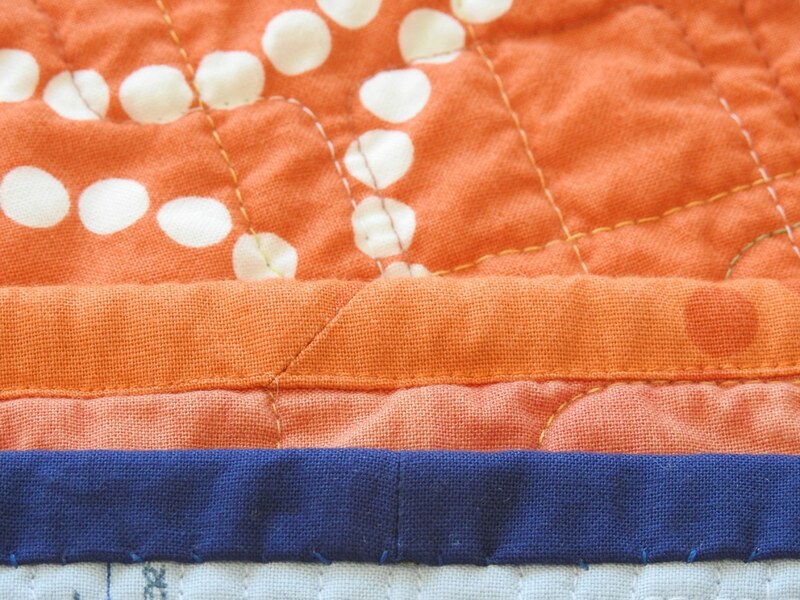 The stretch in the bias makes it easier to maneuver the binding around the quilt’s curved edges. Bias binding takes the most fabric to make. 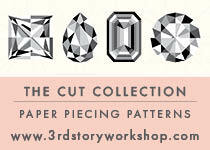 Many prints, like plaids or stripes, look really great when cut on the bias. As noted above, bias cut fabric can stretch, making it ideal for binding curves, so take care not to pull and stretch bias binding out of shape when you handle it. Straight grain binding is much more stable and can be a great choice to stabilize the edges of a quilt with bias outer edges. When talking about straight grain binding, single fold binding is created from width of fabric strips that are joined together. A raw edge is stitched, right sides together, along the perimeter of the quilt (usually the front), pressed away and around to the other side of the quilt (usually the back) where the second raw edge is finger folded back, making a fold. The fold is then stitched down by hand or machine, and this method leaves only one layer of fabric covering the raw edge. 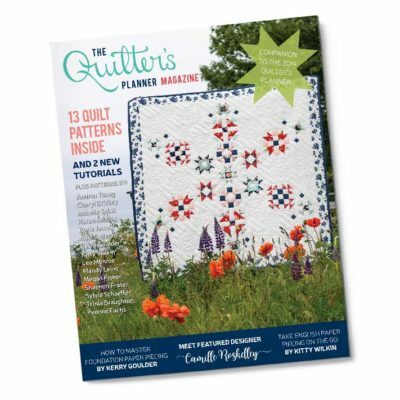 It is best used for quilts that will be hung for display or gently used and not washed often. Double fold binding is created from width of fabric strips that are joined together and then pressed in half down the long length. The raw edge is stitched, right sides together, along the perimeter of the quilt (usually the front), pressed away and around to the other side of the quilt (usually the back) and the folded edge is then stitched down by hand or machine to finish the binding. The orange binding in the photo above is joined with a mitered seam, and the navy binding in the photo above is joined with a straight seam. (Extra bonus: the orange binding is machine stitched down and the navy binding is hand stitched down!) In general, mitered seams wear better for quilts that are used and washed frequently as there is less bulk in one location. 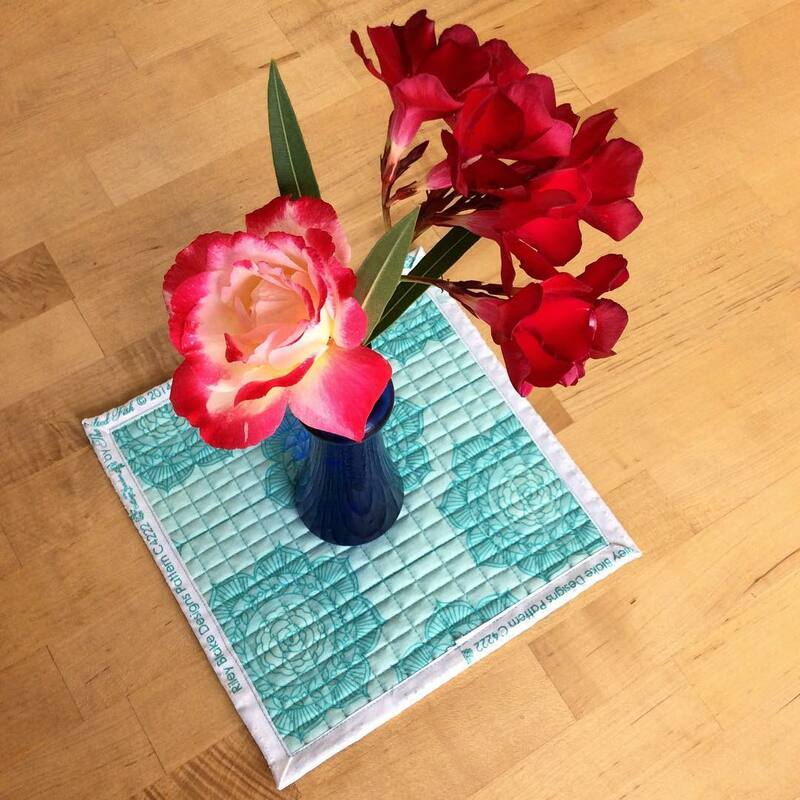 Straight seams are practical for binding smaller quilted objects like pillows, placemats, and mini mini quilts (that finish at 4″ square or smaller!) when there is not much room to join binding strips or ends with a 45 degree angle. 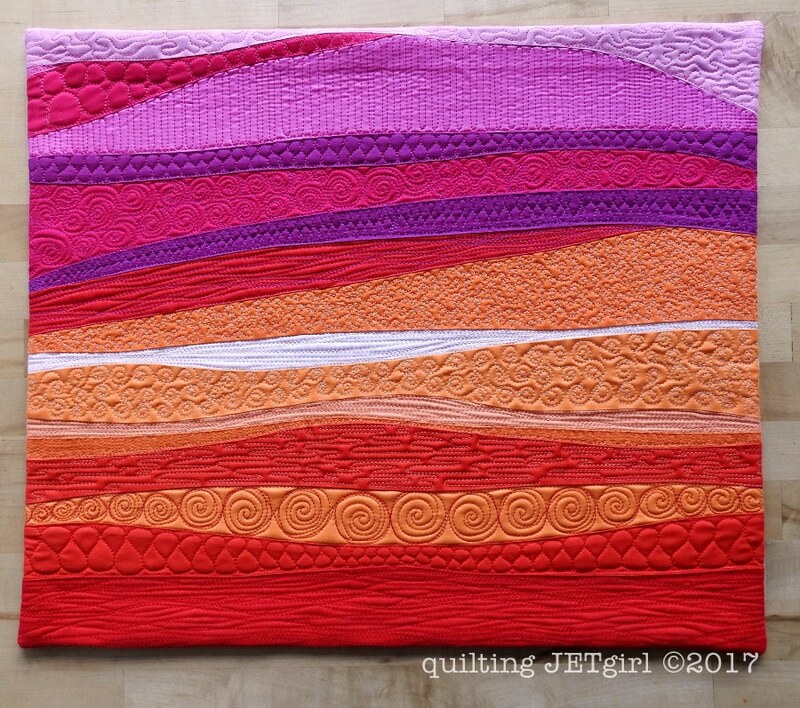 Another binding option for finishing quilts is facing. Facing is similar to a binding on a quilt, except that the sewn on fabric is all turned completely to the back so there is no visual line around the edge of a quilt. 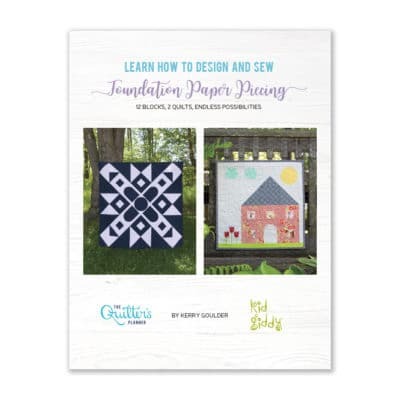 It allows you to take the quilting all the way to the edge of a quilt, it can add a nice professional and more artful looking finish, (especially to a smaller quilt) and many often find quilts seem to hang better and flatter with this method. 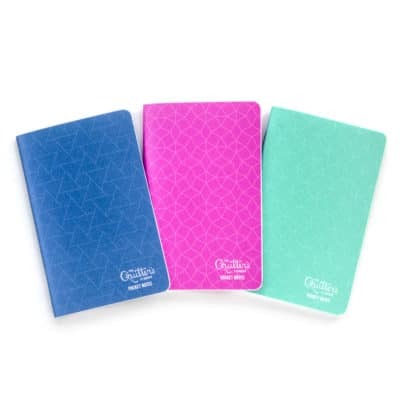 In case you are curious, the patterns in the 2019 Quilter’s Planner magazine are written for creating 2 1/2″ by width of fabric strip, straight grain, double fold bindings, and are best sewn on with a scant 3/8″ seam allowance.